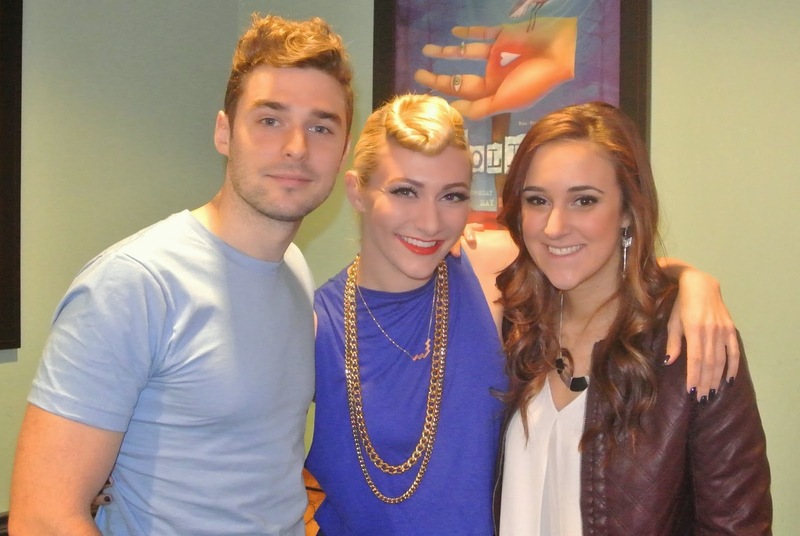 Seeing as Amy and Nick from Karmin have been my favorite artists to hang with in the past [well, besides Trey Songz, of course.... yum. ], I was SUPER pumped to get to talk to them again! Except this time was the first time I was actually sitting down with them and just chatting... not playing a game or doing a music video with them. We didn't get to do it on camera, but I brought some spiffy audio equipment from 2002, we got real close, and talked about some fun things. I asked what color my maid of honor dress needed to be.. turns out they've already had to cancel one wedding, and another one is not even being planned yet. They're in the middle of fixing up a house they bought from the inside out, thanks to their addiction to HGTV that I can totally relate to. Paul McCartney once "pimp slapped" Nick, and Brandy made Amy cry. The moment they knew they were a thing was while joking about cheese at a college party. Amy also told me my outfit was impeccable... which.. WOAH! Coming from her is pretty neat. Guess I'll need to post that soon. I'm not sure why I keep doing boring smiles with these artists I interview... I need to quit that. Luckily I got a second chance with them.